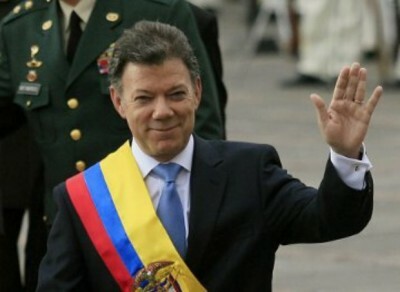 Imagine, Mr. Manuel Santos, President of Colombia, Nobel Peace Laureate 2016, for achieving a Peace Agreement with the FARC “rebels” (Fuerzas Armadas Revolucionarias de Colombia – Revolutionary Armed Forces of Colombia) – this same peace-loving Mr. Santos is inviting NATO to his country to help fight “organized crime”. As TeleSUR reports, this could jeopardize the recently signed (the ink is not yet dry) Peace Agreement between the Government and FARC. Within the last few days, at least two leaders of ‘campesinos’ (peasant farmers) were found killed. “False flag”, as usual, with real people casualties? Provoking FARC to retaliate? – Which would be the end of the peace agreement. Frankly, I never believed that the government was serious in negotiating peace, ending one of the longest civil conflicts’, with the longest peace negotiations in recent Latin American history. A four-year peace process was supposed to end 52 years of the leftist FARC militia fighting in defense of the rural poor, countering an elite of the rich, mostly urban dweller and latifundios, against government forces with support of the US military stationed in Colombia. (FARC logo right) (See Colombia: The Peace Farce, If There Ever Was One). Like the Europeans, the Colombian Government is a sheer puppet of Washington’s. Both Santos and his predecessor, Uribe, are CIA handlers. Having peace with FARC would be against the interests of the United States. So – what is the agreement all about? – It’s propaganda: Giving war-wearied people an illusion, false hope, that there is light at the end of the endless tunnel of assassinations and abuse – enhanced by the politically highly astute Swedish / Norwegian Nobel Committee. At the first sign of a FARC uprising, for example in protest of the (false flag) campesino killings, the agreement will be broken, and peace is what it was from the very beginning – a farce – a travesty to induce a new strategy for Latin America – bringing in NATO. To disguise Washington’s role, President Santos is calling on NATO for help. Everybody knows that NATO represents basically the US Pentagon with some token input from Washington’s European stooges. 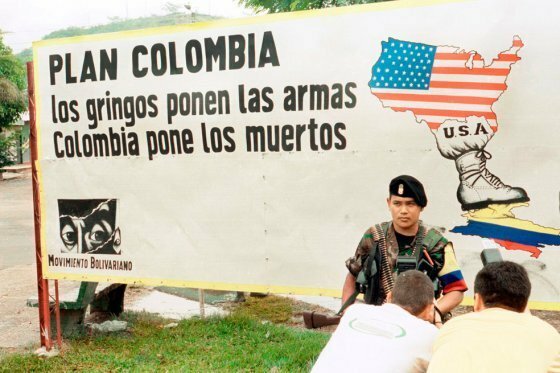 But NATO’s involvement in Colombia would have far wider implication than just fighting FARC, or as Santos calls it euphemistically, ‘fighting organized crime’ which is a reference to fighting drug cartels and linking the ‘fight’ to the infamous and controversial US Plan Colombia, the direct cost of which has exceeded 10 billion dollars since 2000, when it began. The total cost, including the destruction of infrastructure, housing and livelihoods, as well as the lives of at least 220 000 Colombians and close to six million people displaced, with the related hardship and suffering, is uncountable. “There is this idea that it is some vast orchestrated project, but Plan Colombia doesn’t exist as such,” says Winifred Tate, author of ‘Drugs, Thugs and Diplomats’, a study of US policymaking in Colombia. “Rather, it has been a series of programs whose emphasis has expanded and recalibrated over the years”, she says. Despite the Plan, coca production is higher today than in 2000, at the beginning of the Plan and Colombia remains the world’s top coca and cocaine producer. So, Plan Colombia has not worked. A “Strategy Change” is in order. In comes NATO, a multi-country military force, per se, to fight crime, kill farmers who do not ‘obey’ – continuing the fight against FARC ‘rebels’ who defend the peasants – and therefore break the highly deceptive Peace Agreement. A condition for the Peace Agreement was complete disarmament of FARC. In a new war, FARC would be extremely disadvantaged, risking to be easily eviscerated by NATO. What is NATO? – NATO, the North Atlantic Treaty Organization, is a US led military force stationed in Europe. It was created in 1949 by the United States and included Canada and several European countries. Its main official purpose was to defend Europe from the imaginary enemy, the communist Soviet Union. Implicitly it also meant that Europe wouldn’t need to build up its own defense. Big Brother would take care of it with – yes, NATO. 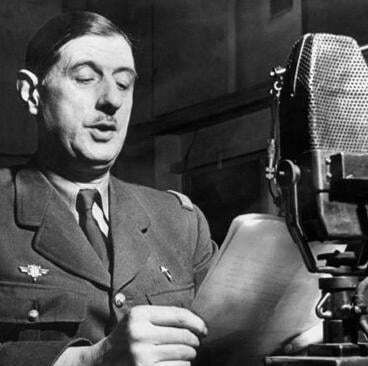 The only European leader with foresight and who saw through the sham, was General Charles De Gaulle. In 1966 he kicked NATO out of France. In 2009, 43 years later, French President Sarkozy, also a known CIA agent, reintegrated France into all structures of NATO. At the foundation of NATO, as today, the US had and has a phobia against anything that has anything to do with socialism, let alone communism – which was a major justification for the arms race that enhanced the Cold War from the late 1950’s to 1991, when the Soviet Union collapsed. The Cold War was mostly a propaganda hype to make believe the Soviet Union, which historically never had expansionist ambitions, was a threat to European sovereignty. The Cold War justified an arms race that sustained a highly profitable war industry. When the Soviet Union collapsed in 1991, the justification for NATO effectively died. It had then 12 bases in Europe. The unilateral promise by the allied forces, expressed by then German Foreign Minister Genscher, was that NATO would not expand one meter to the east. Today NATO has 28 members and more than 30 bases throughout Europe, most of them clustering around the Russian borders, a threat to Moscow. That’s shows the honesty of western promises. This prolific character is typical for US-led military operations, in particular NATO. With this historic background, NATO in Colombia would be a real and present danger for all of Latin America. NATO, an alliance of Atlantists, has no business in Colombia, let alone in Latin America. NATO in Colombia had an earlier beginning. President Juan Manuel Santos initiated the Colombia-NATO cooperation. Negotiations between the former Colombian defense Minister, Juan Carlos Pinzón, and NATO’s General Philip Breedlove, then NATO Commander in Europe, started in 2013 with the ‘benign’ purpose for Colombia to gain access to NATO’s “best practices in professional standards, integrity and transparency, as well as humanitarian operations.” Against obvious protests from Venezuela to having NATO infiltrated in her neighboring country, President Santos signed a “Cooperation Agreement” with NATO on 6 June 2013 in Brussels. This was the beginning of a covert alliance between a key Latin American ally of Washington and NATO. Almost nobody noticed. Bringing NATO troops to Colombia would not only be a first in Latin America, it might wreak havoc among the non-aligned UNASUR nations, especially among Bolivia, Ecuador and Venezuela. NATO in Colombia would be like a training ground for guerilla warfare, something the transatlantic forces are not used to – but will have to become familiar with in order to fulfill Washington’s plan to gradually proliferate throughout South America, preventing any attempts of left-wing uprisings. Once in strategically located Colombia, NATO would spread like brush fire throughout the Sub-Continent, being allowed by the neoliberal Latin American Governments now being implanted by Washington to build countless military bases. They would henceforth be called NATO bases. The unpopular term, US bases, would be a thing of the past.